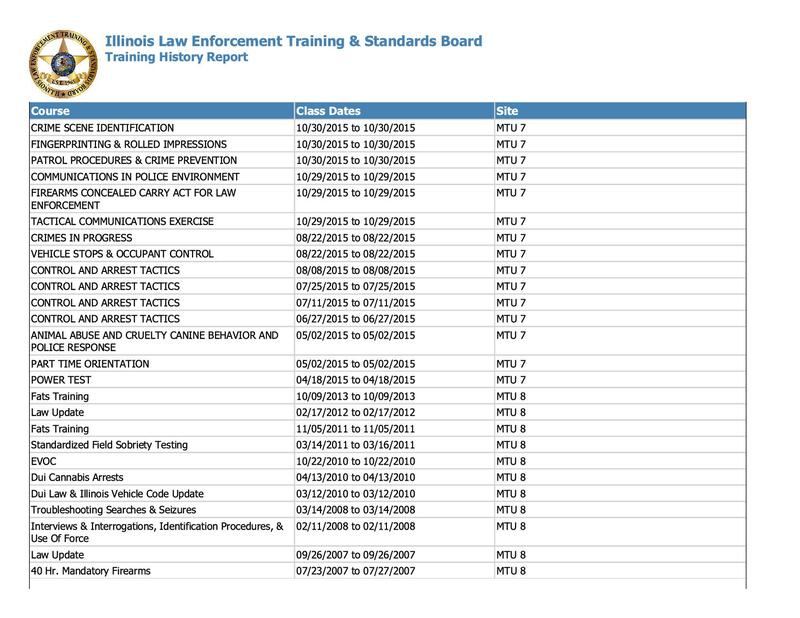 Nobody in Illinois is allowed to act like a police officer without credentials. Continuing education/training is also required. I FOIA’d the same information for another part-time officer, Dustin Carter, Police Chief of Stanford. The purpose of this FOIA was to show you the difference between Davies and an officer not pretending to be credentialed. Which guy do you want enforcing the law? 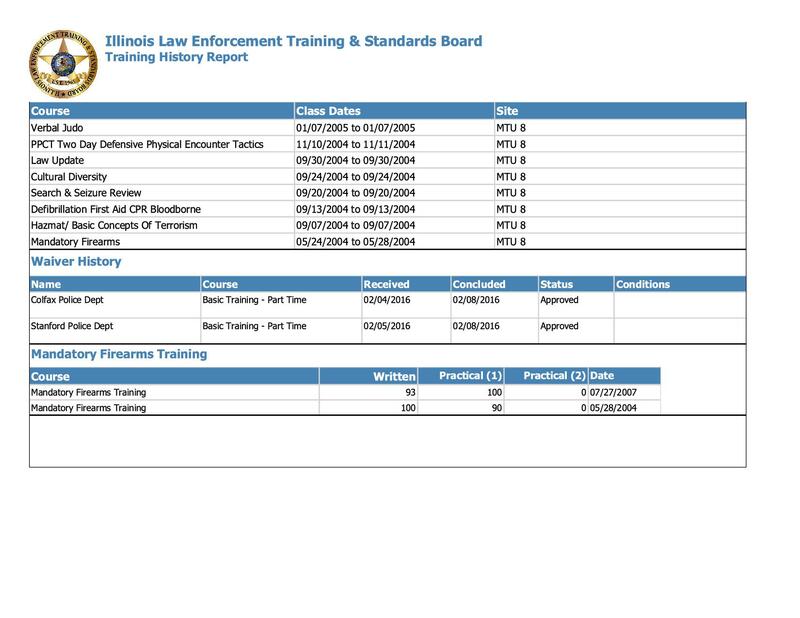 The Illinois Law Enforcement Training and Standards Board has answered both of my FOIA’s in less than 24 hours. I appreciate their transparency. 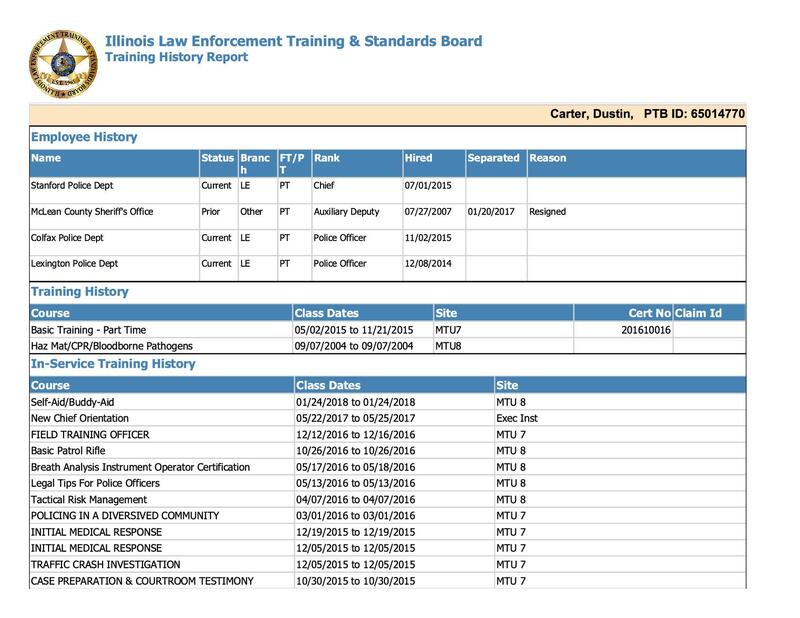 Posted in BloNo, Liberal Media, Local, Taxes.Tagged Dustin Carter, Illinois Law Enforcement Training and Standards Board, Robert Davies, Village of Mackinaw. Previous Post Mackinaw: Do Laws Matter? Next Post Bruce Rauner is a LIAR!